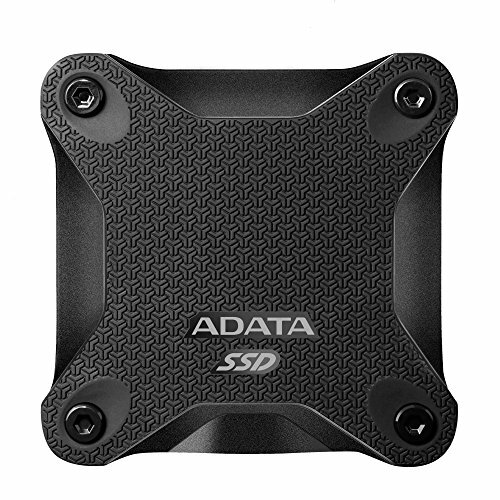 Optimal Performance in a Compact Size The ADATA SD600 external SSD utilizes advanced 3D NAND flash technology which improves the overall durability and reliability of portable storage. It has read speed up to 440 MB/s and write speed up to 430 MB/s with the overall size of your palm. With SLC and DRAM caching, ADATA SD600 is capable of transferring 5GB Full HD video file in just 26 seconds. Versatile, Easy to Use, and Quality You Can Trust ADATA SD600 uses USB 3.1 Gen 1-interface and features plug-and-play operation and cross-platform compatibility with Windows, Mac OS, Linus, Android, Xbox, and PS4 consoles. At just 3.2oz, ADATA SD600 is lightweight and compact compared to an external HDD. ADATA SD600 comes with 3-year limited warranty for worry-free ownership experience.